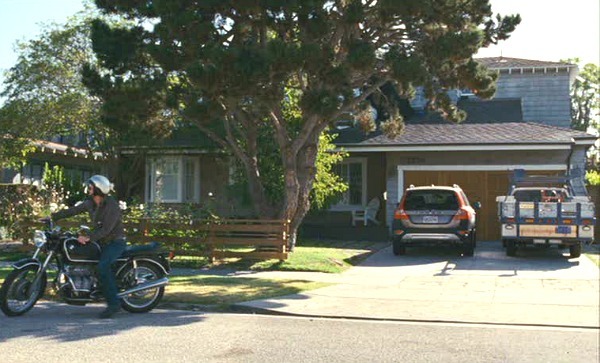 Although it was kind of a small movie, the house where they filmed The Kids Are All Right made a big impression. Since the day it hit theaters, readers have been asking me to feature it. I’m excited to finally have some info about the house it was filmed in, along with photos of how it looks today to share with you. 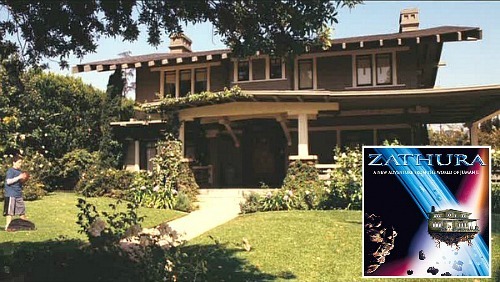 The movie starring Mark Ruffalo, Annette Bening, and Julianne Moore, was filmed on location in this house in California. 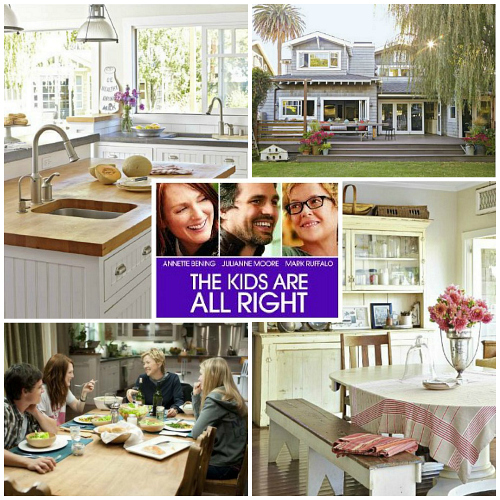 In the July ’14 issue of Better Homes and Gardens, they featured the house and mentioned that The Kids Are All Right was filmed in it. I was so excited, I immediately had to take some screenshots from the movie so we could compare the two. The house was built in 1941. When homeowners Kevin and Susan needed more space for their family, they told BH&G that they decided to remodel instead of moving. The result is a mix of old and new design. …that reminds me of Gwyneth Paltrow’s bedroom in her Hamptons house. Similar, right? No photos of it or the bathroom in the magazine, though, so I’m not sure if they look the same. Pick up the July ’14 issue of Better Homes and Gardens for the article by Candace Ord Manroe and more photos by David Tsay. I’m loving this house… especially that kitchen! It’s full of personality! I am amazed how much they DIDN’T change. It seems that the homes in movies usually don’t look like the real houses that they start from. So this is pretty cool! I am looking forward to see Mark Ruffalo in Begin Again sometime soon. Pretty house. I am so over the giant industrial lights over the island trend. Time for something new. Funny, I have never seen this movie before but rented the DVD just a couple of days ago – I haven’t had a chance to watch it yet, but am now looking forward to it just to check out the house! I was just watching this movie this week and was wondering if it was a movie house that you had covered. Lo and behold, the next morning a post pops up about it. 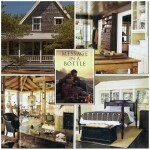 I love the craftsman’s style of the home and all of the built in bookshelves in the main living space. Can anyone (pretty please) tell me where the light fixtures that hang over the kitchen island are from?